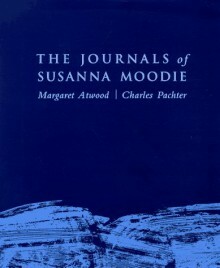 Margaret Atwood's The Journals of Susanna Moodie (1970), regarded by many as her most fully realized volume of poetry, is one of the great Canadian and feminist epics. In 1980, Margaret Atwood's longtime friend, the distinguished Canadian artist Charles Pachter, illustrated, designed, and published a handmade boxed portfolio edition of 120 copies of the poem with silkscreen prints, created as an act of homage to the poet. Atwood herself has said of Pachter's work, "His is a sophisticated art which draws upon many techniques and evokes many echoes." The poem and the prints inspire one another. This is the first facsimile edition of the original, as well as the first one-volume American edition of the poem, with an introduction by Charles Pachter and a foreword by David Staines.